BLOG - The longest & toughest Baltic regatta! In this years edition the starting signal will be fired by the cannon of the sailing ship Wissemara. At 1pm on the dot, the MidsummerSailors will be off to cross the entire Baltic Sea. Today is exactly halftime between the starts of the MidsummerSail. The perfect time to read a review from Salome Gerber. She took part with her dad in this years edition. 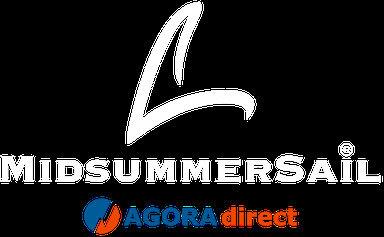 Are you looking for a boat in order to take part in the MidsummerSail? Then have a look at Mediamare-Yachtcharter. There you can get the perfect yacht at a perfect price. Just ask for the MidsummerSail-Special. to wish all participants Fair Winds. Fantastic! receives a discount of 5, - Euro. Simply order the app via email to service@wetterwelt.de. Please enter a complete billing address and that you participate in the MidsummerSail. Thomas Woithe on DELA is the Winner of the MidsummerSail 2018. He was single handed and the only one that finished the race.